There are some neat visual connections we can discuss about Virgo’s symbol. At first glance, it looks like an "m" with a curly q. The "m" is a great way to remember "Maiden", which is another reference to the Virgin, Virgo. When I was first learning astrology, I always got the Virgo glyph confused with Scorpio (they’re rather similar). But the "M" for "Maiden" helped me square that away. At any rate, the curly q portion of Virgo’s glyph represents the chaste nature of Virgo. Why? Notice the oval loop and how it crosses. This is reminiscent of an opening that is closed, sealed, allowing no access to impurities. The crossing loop is symbolic of a gatekeeper. Virgo’s have an innate sensitivity to what is right and what is wrong. They have an internal goalie - Virgo’s have an instinct for denying what is inappropriate for them or their world. If it doesn’t feel or seem right to a Virgo - then no access. No goal. Earth: Earth is symbolic of getting back to "grass roots", and Virgo’s are very good at this. Virgo has a remarkable ability to get to the core foundation of a situation, emotion, problem, etc...they can dig to the root of something and see beneath the surface. This is a very earthy skill. Earth is also symbolic of connecting with the land, which includes animals. Virgo’s are the matron/patron saints of animals within the zodiac. Earth is also an element of family and community, which Virgo’s are champions of too. 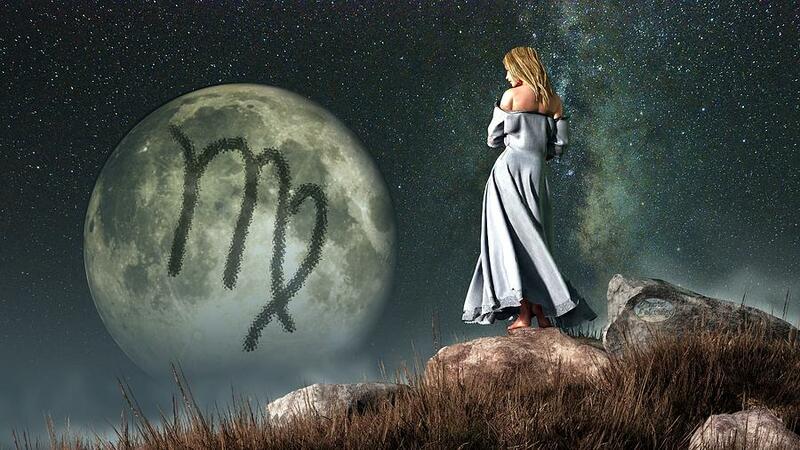 The element of Earth is an easy connection for Virgo because it’s a very comforting, nurturing, supportive influence...all of these influences jive well with Virgo. Furthermore, Earth is a grounding essence. A Virgo is at their best when they feel secure, rooted and grounded. They can handle instability (often expressed in the elements of water, fire and air), but for only so long until they need to withdraw and connect with their earthy side to gain stability. Morning Glory: The symbolic meaning of morning glory’s deal with expansion and growth. Give a Virgo (and a morning glory) some good soil (as in an ideal, secure environment) and they will spread beauty with breathtaking speed and expression. They bloom brightest when they can root themselves within a system that allows them to make improvements. Morning glory’s do this too, in a way. They vine themselves within lattices, on bricks, around poles. I remember morning glory’s adorning an old, run down portico. Their presence beautified the dilapidated structure, and their vines actually reinforced the weakened wood. That’s what Virgo’s do. Given the right environment, Virgo’s will initiate glorious blooms in the darkest, most underdeveloped areas. Sapphire: Sapphires come in many colors, but their most recognizable hue is blue. Blue is an essential color because of its ability to offer clarity of thought, emotion and intuition. The vibration of blue sapphire reaches out to Virgo and aligns with their energy. This gem and Virgo energy brings about a lovely harmony. Sapphires encourage calm, even-mindedness and crystal-clear vision to Virgo’s. Sometimes a Virgo can get clouded by over-critical thought. Sapphires (especially blue sapphire) will help eliminate mental roadblocks and/or "stinkin" thinkin’ because it’s vibrancy and energy can cut through unnecessary or obsessive mental clutter. Virgin/Purity:: Whatever is right, pure, just and untarnished is trademark of the virgin. The symbol of the virgin isn’t exclusive to sexual/gender ideas. Nope. It has to do with what is sacred, what is worthy of protection. The symbol of the virgin is a testimony to Virgo’s. It is a reminder of Virgo’s mission to uphold truth, honor and goodness. It’s a symbol that represents the Virgo’s ability to stand up for what is right, and maintain integrity. 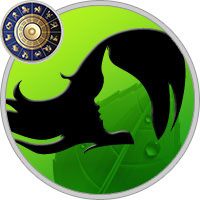 Virgo’s symbol is also the sign of a maiden. Maidens are symbolic of beauty and finery in a state of suspension. A maiden waits until the time is right to express her best features to the world. A maiden is bursting with incredible potential and talent. But she is patient, she is savvy, and she is keen in her ability to detect just the right environment in which to release all her assets. This is a very Virgo theme. Virgo’s are jam-packed with virtuous, righteous, wonderful aspects. But often, these aspects may go unnoticed by others. Why? Because often, a Virgo will wait for the right moment/situation to reveal their true selves.